Physiotherapists are recognized as expert guides in the promotion, restoration and rehabilitation of physical function and mobility. For almost 100 years, physiotherapists have been an integral part of the Canadian health care system. As Canada’s population grows and diversifies, new technologies emerge, and health care environments change, physiotherapy must similarly evolve to meet the needs of those they serve. The Physio Moves Canada project is the first of its kind designed to address the future of the profession. We are placing high value on the opportunity to meet with physiotherapists and patients in their own environments to capture firsthand perspectives. 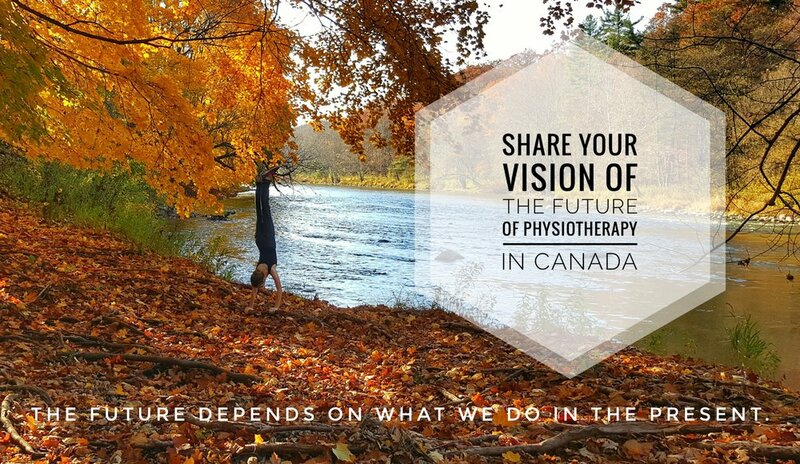 The primary goal of the project is to provide critical information regarding the current state of physiotherapy in Canada, its direction over the next 5-15 years, and innovations or opportunities that can be harnessed now to ensure we continue to be viewed as leaders in all aspects of functional mobility for Canadians. Beginning in June 2017, our team will travel from coast to coast, visiting communities across the nation to meet with physiotherapists, physiotherapist assistants and those whose lives have been touched by physiotherapy. As we make our way across the country, we will be sharing the experience through our social media outlets, including the Blog on this website. We encourage you to follow along, and get involved in this incredible project. Find out how you can contribute by visiting the Get Involved tab at the top of the page. We look forward to sharing this journey with you, Canada! The outputs of this project will be in the form of research publications as well as a documentary-style video that showcases Canadians who, with the help of their physiotherapist, have overcome challenges with mobility. A project of this magnitude would not be possible without the generous support of our Sponsors. Thank you for recognizing the importance of this project to all Canadians. Click below to visit our sponsors' websites to learn more about these fantastic organizations.